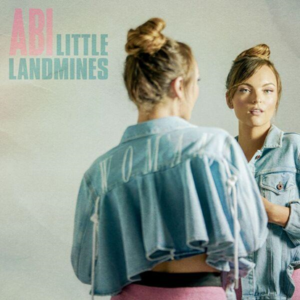 (Nashville, TN) – Texas-born, Nashville based newcomer Abi has debuted an exclusive new track, “Little Landmines,” available now via One Country Records. The upbeat, foot stomping track – available on stream-only platforms – serves as a thank you to Abi’s fans for their support during her incredible breakout year. For “Little Landmines,” Abi enlisted the help of famed songwriters Sarah Emily Berrios (Carrie Underwood), Allen Shamblin (Miranda Lambert, Keith Urban), and Marc Beeson (LeAnn Rimes, Marina McBride) to create a track that captures all of the elements that have endeared her to the country music world – a hooky chorus, a heartfelt story, and a sensational voice. “Little Landmines,” is available for streaming HERE. At only 21 years old, Abi has begun to make her mark in the country music scene. This year, she assembled what will become her 2019 independent debut EP, Heart Broken, which produced the wildly successful single “A Day Without.” The track landed on Rolling Stone Country’s “10 Best Country and Americana Songs of the Week,” and Taste of Country dubbed the track, “the kind of tightly-worded, universal artist statement a country newcomer needs to take a serious step forward.” In addition, the striking track earned a video premiere and exclusive interview with CMT. Inspired by everything from the marvelous pop expanse of The Beatles and Shania Twain to the “storytelling” of Johnny Cash and Willie Nelson, Abi crafted her first song in third grade. She has since developed into a powerhouse vocalist and songwriter, with an impressive resume under her belt. In 2014, Abi joined Jesse McCartney’s North American tour and 2015 saw Kelly Clarkson handpick Abi to open her massive summer headline run, while she hit the road alongside Pentatonix a year later. In 2017, her single “Matches” independently caught fire; striking the sweet spot between simmering country soul, twanging guitars and a fierce hook – “Light me up ‘cause baby we’re matches” – CMT fanned the flames an early champion.